I’m writing this from my tent, camping in a field in Hari’s village, next to his house. It’s 9PM and it’s complete darkness for a couple of hours already. The dog is barking outside, I wish I knew why. I feel strange because it’s my last night in the village. Last night with this wonderful family who hosted me for so many days, taking care of me as if I were a member of the family. I will leave Nepal on the 1st of Dec. before spending 2 weeks in Taiwan and coming home. I will most likely come back very soon, but here in Nepal, you’re never sure you’ll see someone again. Life is fragile everywhere, but even more here. So I try to open myself to everything around, print the smells, the tastes and the faces as deep as I can in my heart. It is also time to say goodbye to some other people which I have met on my way here. Precious people, beautiful people. I wish I could offer them more than my best thoughts to accompany them for the forthcoming times. Tomorrow I will go trekking with very good friends who came from Switzerland. 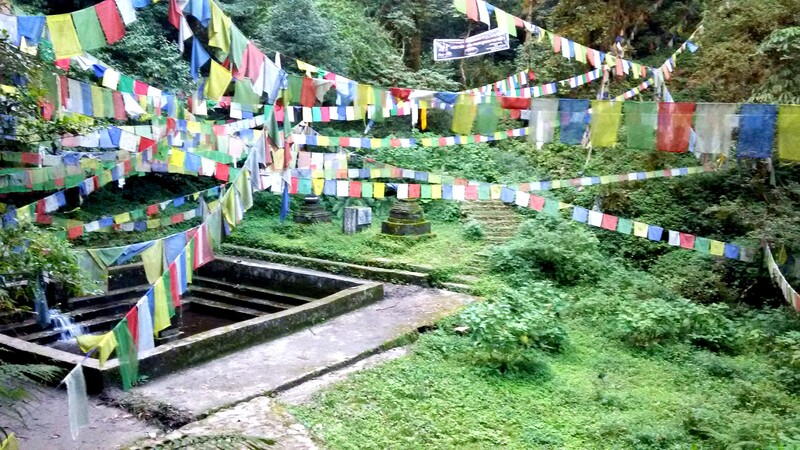 We will walk in Langtang and discover a trekking area that only very recently reopened. 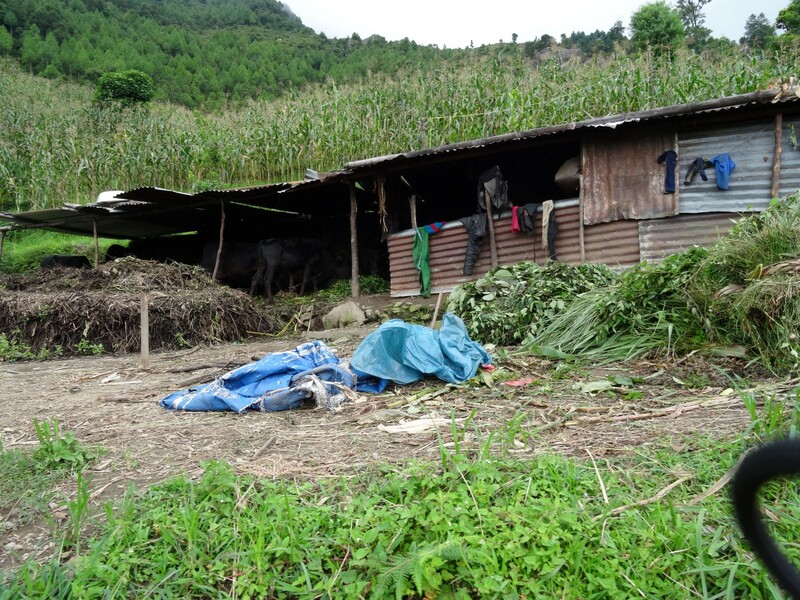 Entire villages have disappeared around here after the earthquake, and we will also try to document the current situation and assess development opportunities there. Homestay at local families will offer us unique opportunities to get to know the Tamang lifestyle, one of the major ethnic group in Nepal. I am also very excited to share with you my latest project to help these people getting a better education: Together with a couple of friends and with the support of so many others, we designed t-shirts which we are now selling for Christmas. 100% of our profit will go towards building a library for a major high school in this area (more info about that in my previous blog article). So if you’re looking for a great Christmas gift that makes more sense than just making the rich companies richer, please have a look at our project! T-shirts are shipped worldwide and they are available in many shapes and colors. A few days ago I went to visit earthquake refugees campsites. I did not know what to expect. I heard stories of heavily spread diseases due to horrible living conditions. I have also been told that the conditions were poor but that NGOs were quite successful at fulfilling basic needs to everyone. So I visited 3 campsites in Langtang area. These campsites hosted about 100 families each. One was significantly worse than the others: very crowded, using tents (the others had iron shelters) and they were washing their dishes on a small tap on the roadside. All had toilets and drinking water. One had a common house with TV and a fridge. One provided garden and poultry farms (I heard that the people there were actually renting their spot). But none of these campsites offered a future to these families. They are temporary places for people who lost everything, waiting to be kicked out. We were lucky enough to discuss with one of the community representative who gave us the critical number, the price for buying a future: 4’000$ US per family to get a land to cultivate and a house. 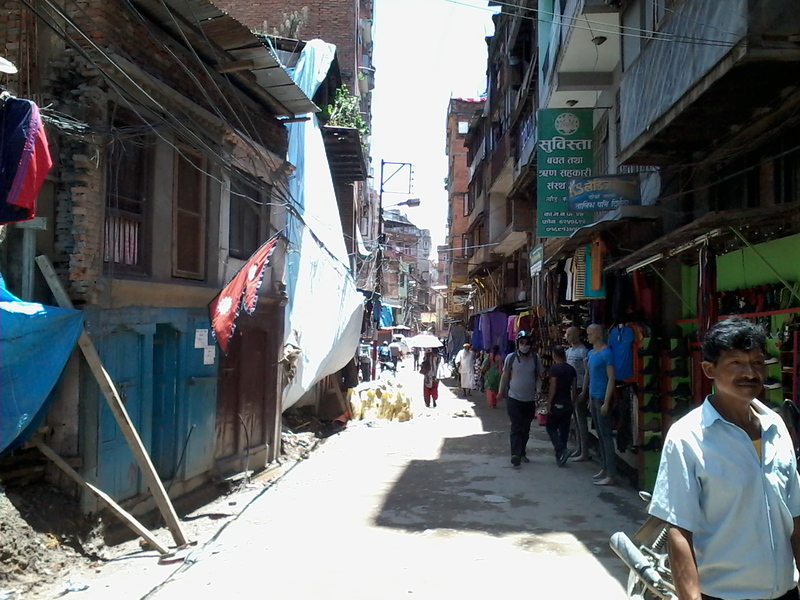 In Nepal a good job in Kathmandu rewards 300-400$ a month. So all these families are now focused on finding how to get this money in a country with significant unemployment rate: the husband could go to Qatar or other foreign countries to find a job. They can ask their relatives for financial support. Or they can just wait and see. Since I am here I have been thinking and discussing a lot about Nepal’s and more generally developing countries’ issues and their solutions. Finally I decided to pick one of them and contribute my little part to it: improving education. 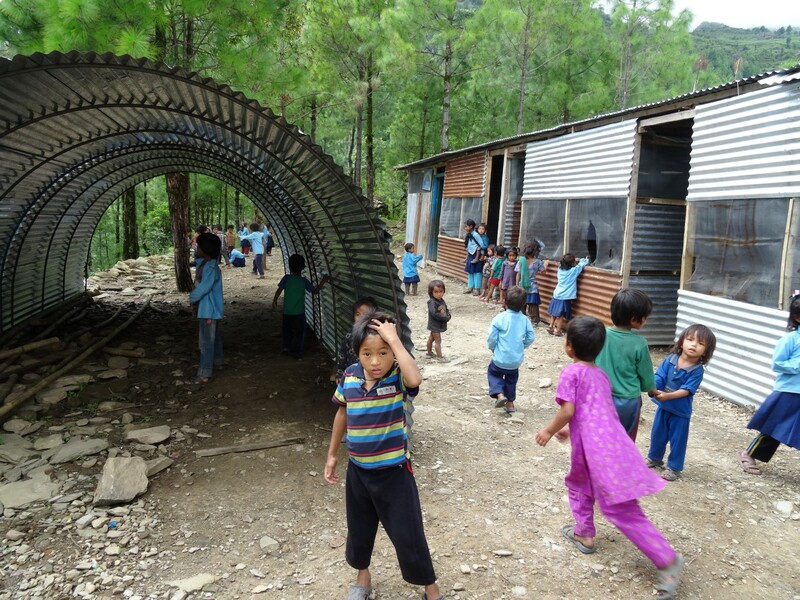 Why improving education will help earthquake victims a lot? Because education is the key to get a decent salary around here that would let them rebuild their collapsed houses on the long term. For 25’000$ you can build 5-6 houses to help a couple families getting back comfortable living conditions by the end of the year. Or you can build a school with 7 rooms and provide education to more than 200 students every year, which will help around 100 families getting a relatively good income to rebuild their houses themselves in 10-15 years, plus 100 more families every following year. So, in my opinion, education is one of the key to efficiently support Nepal’s relief. My parents, myself and a couple of friends have joined hands to collect 11’000$ to build a fully furnished library in a mountain high school. Right now we collected 5’400$ and so we are halfway on this objective. If you are interested in helping us raising this money, you are most welcome to spread the word on your favorite social media or by donating to my personal bank account (see below). High Himalayan Community Projects Nepal, the NGO with which I collaborate on this project, will issue a donation receipt which may be eligible for tax deduction (no guarantee on that sorry). Unfortunately this NGO does not have a bank account in Switzerland, and transferring money directly to Nepal is a big mess with huge overhead costs (~10%) but we will bring the money cash to Nepal and avoid all overheads. Please send me a message after donating, this will help me keeping track of the process. Thanks a lot for your support and continuous reading of my adventures. There is so much to say about everything I experience here. I hope I’ll find the time to write about all those things soon, otherwise I now have a fixed return date to Switzerland: 15th of December 2015. I’m really looking forward to see you all again! (Video) Trekking in the Annapurna! Format VideoPosted on 10 October 2015 Categories Volunteering in NepalLeave a comment on (Video) Trekking in the Annapurna! I am writing this message from Mount Shivapuri. I am in some kind of storage house with one big room full of mattresses and blankets. I am not very sure of the purpose of this house. It is one of the four houses that you can find at the peak of the mountain. I’ve been told that a great spiritual guide was living here and that this house is used for his disciple to sleep. But either they haven’t been here for months, or they really don’t care about things being tidy, or both, because that’s quite a messy place. Mice are running around, and I am here in the middle of this in my sleeping bag. Quietly writing to you. Despite the appearances, I feel good here. It’s quite warm and protected from the wild animals outside in the forest. Maybe because of this Russian woman whom we are hosting these days through CouchSurfing, who offered me to join her and another friend of hers in this overnight mountain expedition. And maybe because I was too scared to sleep outside with them without a tent in the middle of a forest I know nothing about. Maybe because I told them I would prefer to sleep in this house instead, and that it was OK if they left me there while they would have gone for a 25 minutes walk in complete darkness in this forest. A forest which – I have been told – is unsafe at night because there are bears and black panthers. Also, I think it is going to rain. So that’s maybe why I am here. This holy fountain was hidden in the middle of the forest. 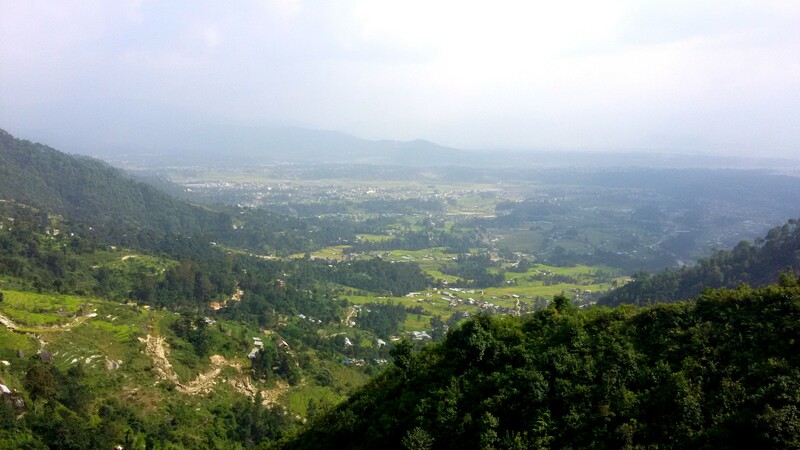 A beautiful view of Kathmandu Valley on the way to the top of the mountain. Posted from Budhanilkantha, Central Region, Nepal. There is this French osteopathic team that came to give free health advice in remote mountains. They came with beautiful intentions, they stayed here and gave all they had for people they don’t know. They left with shining smiles, and hearts full of ideas to create a brighter future for themselves and the world. There is this Australian firefighter who fell in love with Nepal and started organizing fundraising events after the earthquake, because it was just the right thing to do. There is this crazy 21 years old Moroccan girl who cannot bare the idea of spending too much time in her comfort zone and came to Nepal out of nowhere without any plan, because “no plan is good plan”. And even though she has no patience she just applied to a 10-days meditation course here. Her mind is scared, her heart feels it is right. There is this French girl who is 26 years old, who did a Bachelor in France, a Master in Vietnam and another in Serbia, because she felt this need to open herself to other cultures. And especially, there is this Taiwanese woman that I just randomly met in a restaurant because I sat next to her and who happens to be the closest thing to the female version of myself that I’ve ever met. So it’s been a week since I last wrote here. Surprisingly, I don’t really know so much what to write about. I am working every single day on Hari’s website since I arrived, and my life is quite reduced to the classical sleep-eat-work routine. Except that it’s Kathamandu, and that it has nothing to do with what I’m used to. I wake up at 9:30 when the children knock at my door while screaming “Rice Time!!!!“. So my day starts with rice and vegetable curry. Every single day starts with vegetable curry. That’s cool for now. We’re 6 at the table, but starting from tomorrow we’ll be only 3. Hari was hosting 3 high school students, but he found a room for them so they’ll move out. I’m quite sad about that, we’re having fun. 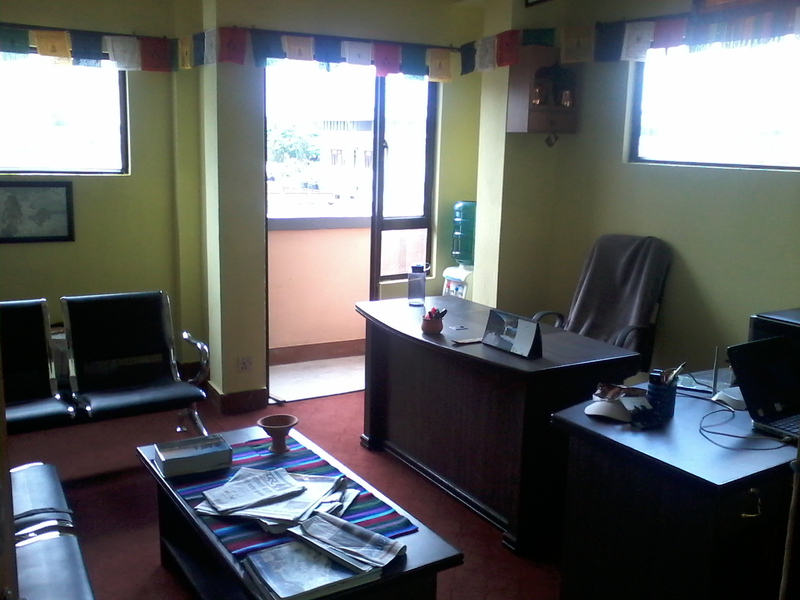 Then we go to the office, which is about 20 min walk from Hari’s place. The way to Hari’s office is a relatively challenging jump-from-stone-to-stone-to-avoid-puddles-path, which happens to be very interesting at night under the rain. The office is cool. We’re located in a super touristic area with lots of delicious and cheap restaurants serving international food. Today was pizza, yesterday I had a Nepalese soup and another day I had Japanese tempuras. Apart from this, many people pass by just to say hi to Hari, which is another opportunity to meet local people. There is an outdoor climbing wall just next to our building which loudly plays the latest electronical music hits, which pleases me quite much actually. We close the office around 7:30PM. The funny thing is that almost every evening the city runs out of electricity and everything is pitch black. So we walk home trying to avoid the cars who end up being both a blessing and a treat, since those are the only luminosity sources that allow us to avoid the above mentioned puddles. Finally, we eventually reach home right on time to eat rice and vegetable curry. The rest of the night is spent peacefully: some are playing with their phones, listening to the radio or working on their homework. I usually spend this time reading books/blogs/news. Posted on 30 July 2015 3 October 2015 Categories Volunteering in Nepal3 Comments on Tapaaile ke gareko? So, I finally arrived in Kathmandu. Somehow, I didn’t feel that surprised of the things I see around, for I already came there in 2011. But I realised that I had forgotten about those little things that made this place – and travelling in general – so fantastic: the smell of the wet and dirty streets, the smell of the flower necklace that my host offered me upon arrival, the completely chaotic traffic and how surviving in there is a constantly repeating miracle. The noisy orchestra offered by the horns of the cars and motorcycles, together with the tiny bicycle bells. I had also forgotten the taste of the traditional rice and curry dhal bat that we eat everyday here. I always have a strange feeling whenever I come back to a place where I haven’t been for a long time. I feel like nothing is real and I am living in a memory in my mind, like in the Inception movie. Another thing that I realised is that actually, coming to Nepal increased my everyday comfort! Indeed, I have my bed, my room, my job, food and water whenever I want, and I am surrounded by very nice and polite people. That’s so much more than what I had for the last four months (except in the end in Gijon). I have a desk in the office. My forthcoming job is challenging (I’ll tell you more about that later), and my host/boss/friend is an amazing and very inspiring person. I feel good. I feel like being at the right place, at the right moment. I feel like this is going to be amazing. Posted on 27 July 2015 27 July 2015 Categories Volunteering in Nepal6 Comments on Namaste!